Looking like a mannequin/cookie cutter style is no way to stand out - off the rack suits just don't give you that clean cut look / looks generic. On the flip side, having a completely tailored wardrobe will have you breaking the bank. The key is to invest in a few essential tailor made pieces: Custom Dress shirts, 3 piece suits & tailored blazers. Part of feeling great is looking great. The key to looking like a boss in your suit is paying close attention to detail to ensure your quality. When you’re picking out the style of your suit, you always start with the dress shirt since it’s what sets the tone and dictates the lines and shape. Think about your dress shirt as your support system. It’s what compliments your sport jacket, it frames your face, and with the shape, it enhances your masculine silhouette. 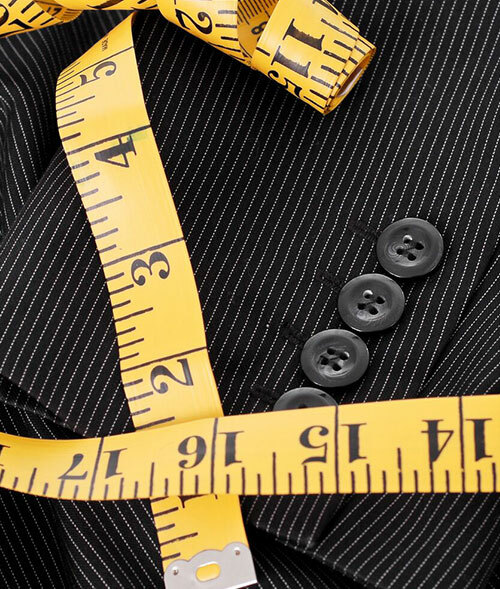 So what’s the difference between an off the rack suit and a tailor made suit? Why should you invest in a tailored suit? The answer is simple… Details. It’s the handmade details that give the shirt its quality and beauty. The Blazer is your shell and the first thing someone is going to see. The color, the fabric and lines all have to be on point. Want a classic look? Black blazer and white or light colored dress shirt underneath does the trick. Want a casual look? Mix up that blazer with some dressed down chinos or jeans; Want a vintage look? Rock a pinstripe blazer or a double breasted blazer. There’s so much to play with when it comes to a great made-to-measure blazer; the key is - the better the fit, the better the look. The vest adds a dynamic layer underneath your blazer and over your dress shirt. It’s an intriguing piece that really leaves you looking well dressed. It really dresses you up for formal occasions such as weddings, galas and red carpet appearances. Want to rock that vintage, hipster look? A vest in-between your blazer and dress shirt will pull it off - add an old montre de poche or pocketwatch for a finishing touch. The rest is simple: great dress pants, a solid selection of dress shoes and of course, your confidence to put the exclamation point on this. Pro tip: You can knock 4 off of this list ( the dress shirt, the blazer, the pants and the vest) in one fell swoop when you purchase a 3 piece suit together. Classic black is just an absolute go-to; it’s not going anywhere and is always flattering and slimming. Maybe this is why almost every single celebrity, man or woman, has defaulted to this at some point or another. It can be paired with white ( black blazer, pants, shoes and tie and a white dress shirt) or it can be a solid black look. While fashion and colors are seasonal, a black and white or all black look is timeless and, unless you’re at Diddy’s all white party, works 100% of the time. Eddie Redmayne, Joe Jonas, Lea Delaria were all spotted wearing different types of plaid tailored suits on the red carpet. Prints are interesting, they make statements, offer personality, innovation and charisma and break up the monotony. From plaid to pinstripes to window paned, tons of celebs have made a bold statement rocking interesting prints and patterns on the red carpet. 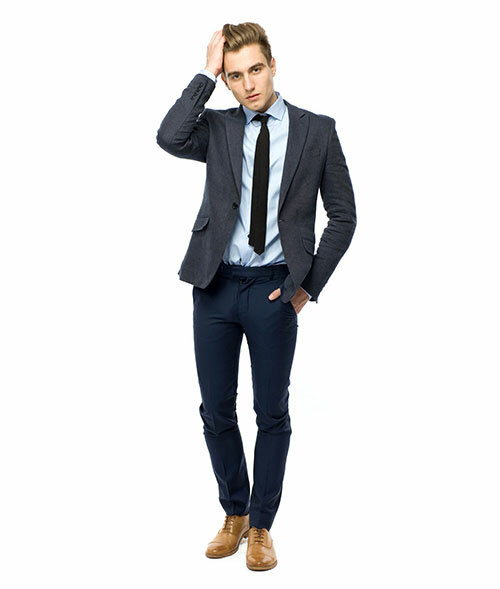 The word suit use to be synonymous with classic, neutral professional attire. Nowadays, this is no longer the case. 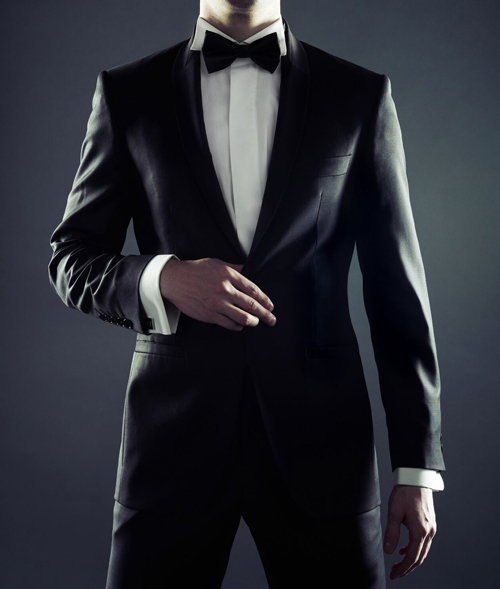 Today’s gentlemen take more chances - they understand that being expressive and bold exudes confidence. Recently, DeAndre Jordan was spotted wearing a bold green tailored suit at ESPYS. Sam Smith wore a royal blue custom suit at the Brit Awards. Colored suits can be a wake up call for your wardrobe, showing that it still has a pulse and you aren’t afraid of being daring. When it comes to a regular day in the office, your colors of choice are usually limited. Neutrals and solid colors are rampant. But Fridays were made for cutting a little loose. Donning lighter colors such as light blue, yellows, or even white custom dress shirts and a dark pant; maybe even a dark blue jean, if your workplace allows it, can say you’re ready for the weekend. If your Friday is more about turning up that it is winding down, brighter colors and prints help wake up your wardrobe. A long sleeve plaid shirt and dark grey/black jeans says ‘I’ll see you at 2 for 1 drinks later’. The key to the casual Friday look is how well it can transition from day to night; success with a transitional outfit is in contrast between formal and casual; so if your top half is casual, your bottom half should be dressy and vice versa. Sound weird? There’s a way to do this without looking mismatched. A good example is a polo shirt and dress pants. Polo shirts are short sleeve, but still give off a clean-cut look. A tailored blazer paired with a casual tee and jeans is always a good option. A tailored blazer is an essential because of its versatility and timelessness that provides that “put-together effect”. If all else fails, you can always go back to basics with a white dress shirt and blue jeans or chino pants. Friday fabrics should be casual and comfortable fabrics. Cotton Chino pants will do the trick; their silhouette is dressy, but the material is casual, so it works either way; it’s all about what your top half is doing. Another good choice is chambray/denim - it’s a fabric traditionally regarded as casual but the silhouette is dressy. Whatever look you decide on, make sure it matches the mood you’re feeling on everyone’s favorite day of the week and own it! TGIF!